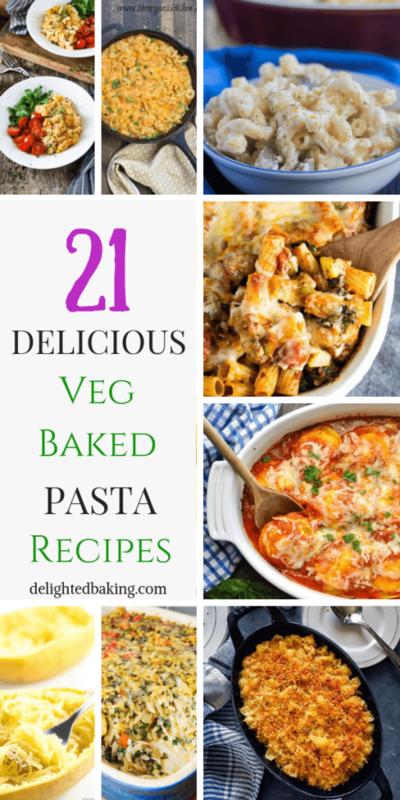 You are here: Home / Party Recipes / 21 Amazing Veg Baked Pasta Recipes You Need To Try! Tasty, delicious and mouthwatering veg baked pasta recipes that everyone in your family would love to eat. As we all know pasta comes in different shapes and sizes – Penne, Fusilli, Tortellini, Fettuccine etc. I personally like penne and fusilli the most. What’s your favorite type of pasta? Let me know in the comments below! I am a big fan of easy and quick vegetarian pasta recipes. I cook pasta almost every other week. I recently made this roasted tomato pasta for my sister. The next pasta recipe on my cooking list is any baked pasta recipe. 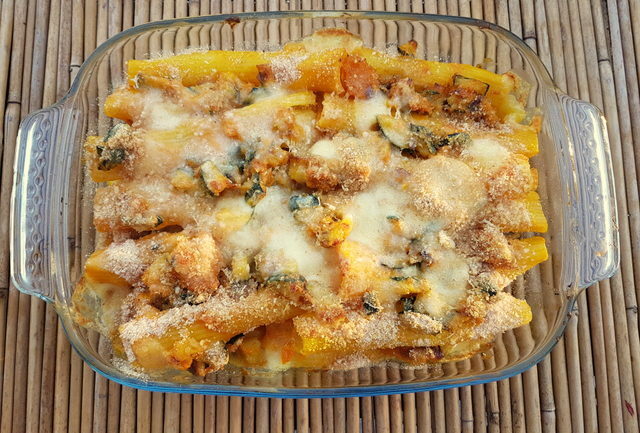 It’s anyway getting cold here and hot and cheesy baked pastas are perfect for the winters. I am sure if you like pasta, you must also be cooking it at least once a week. Well, let’s come back to the current post. 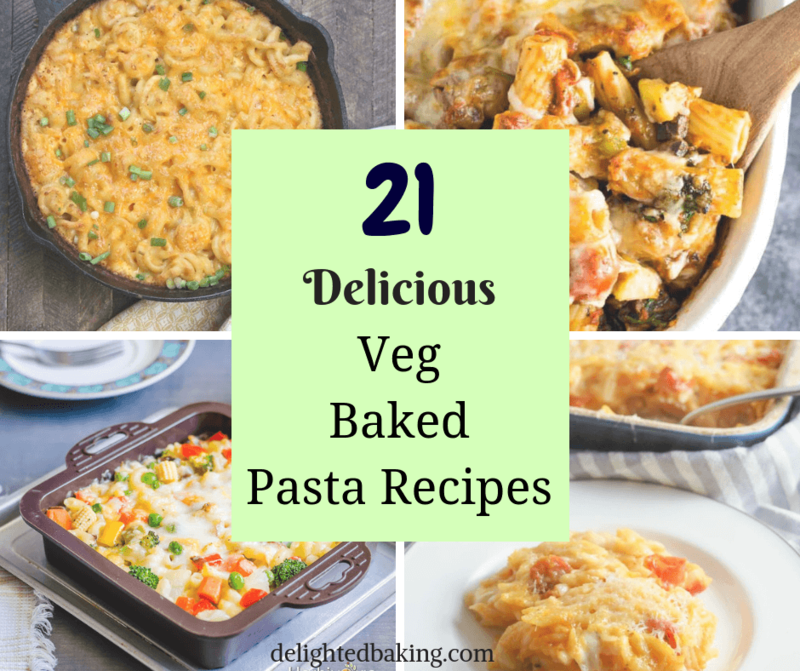 Today, I am sharing some really delicious veg baked pasta recipes. These are easy meatless pasta recipes and are perfect for vegetarians. 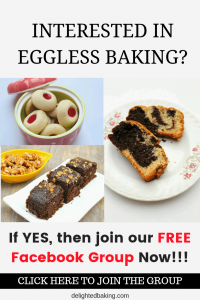 Even if you are a non vegetarian, do give these recipes a try. You would love these amazing pasta recipes! 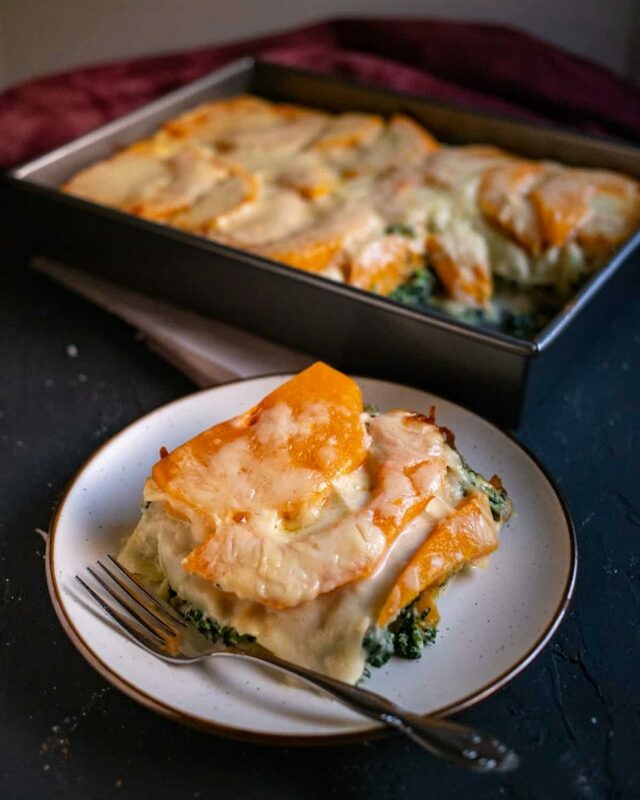 Layers of roasted butternut squash, creamy Alfredo sauce, lasagna noodles, ricotta, and spinach combine with a gooey, cheesy topping for a hearty vegetarian main course perfect for cooler weather. 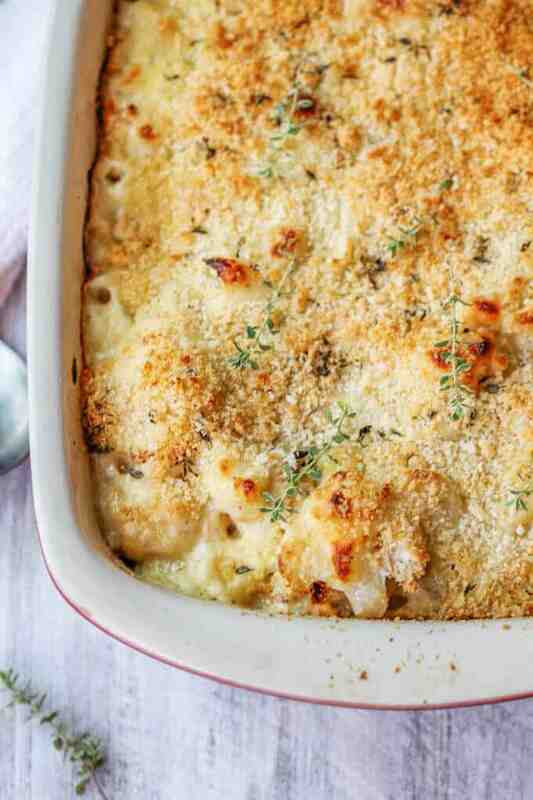 This Baked Mac and Cheese is a new twist on an age old classic. 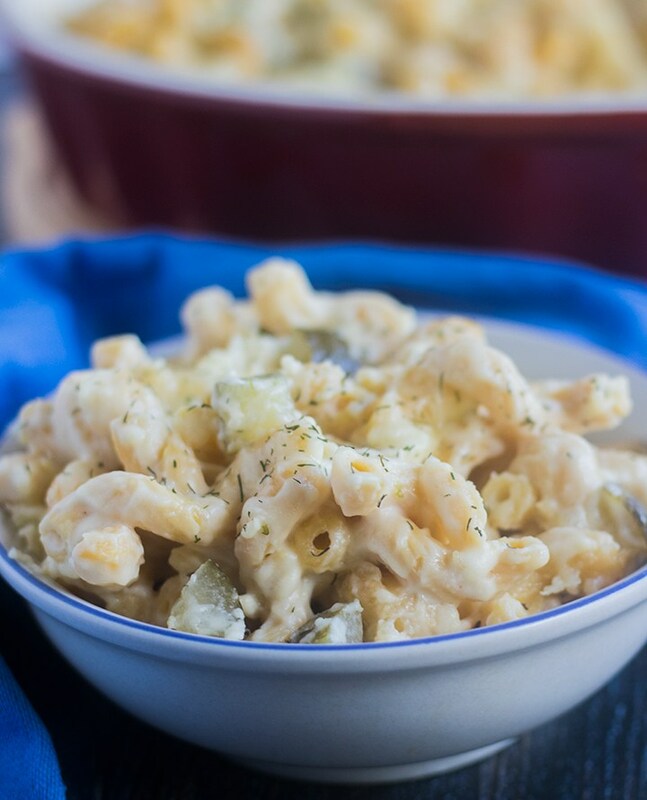 Creamy white cheesy garlic sauce baked with gluten free pasta and loaded with crunchy dill pickles. Easy, Gluten Free. Cauliflower Pasta Bake with brie and fontina is like a combination of a fancy mac and cheese with veggies! 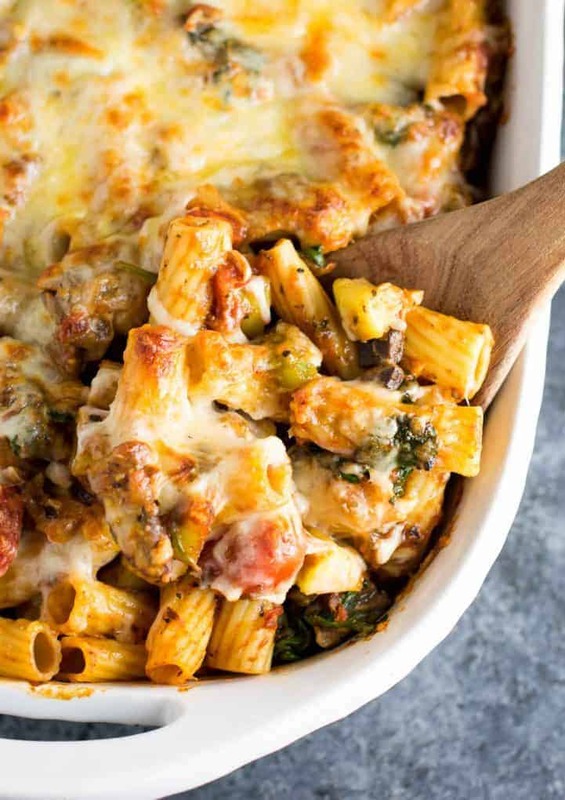 This veggie lover’s baked rigatoni is packed full of cherry tomatoes, onions, garlic, mushrooms, bell peppers, zucchini, and spinach. A hearty and delicious vegetarian dinner! 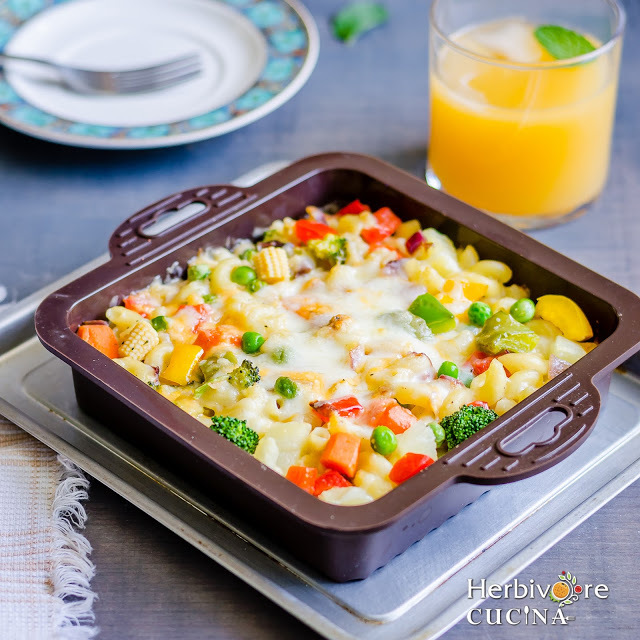 Healthy Pasta recipe with the goodness of vegetables, wheat pasta, whole wheat flour sauce and just a sprinkle of cheese. 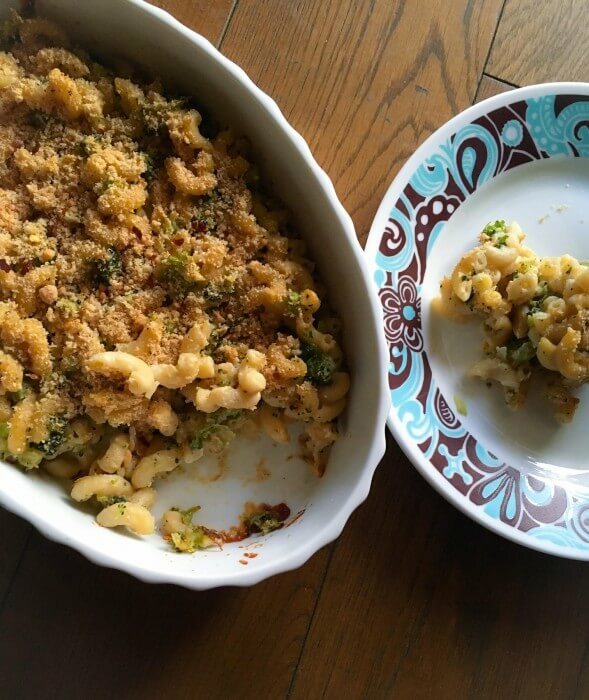 Mac, Veggie and Cheese Casserole is a budget-friendly recipe that can make good use of vegetables you have on hand. 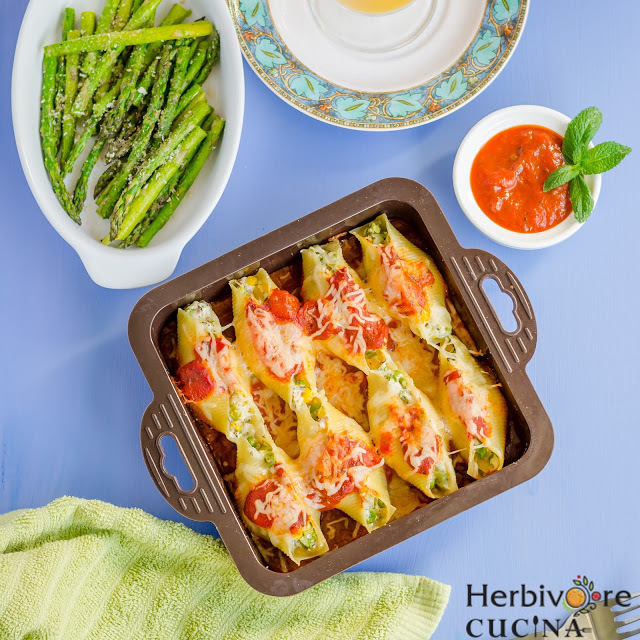 A combination of peas and asparagus stuffed in jumbo shells, baked on a layer of marinara and topped with mozzarella cheese. 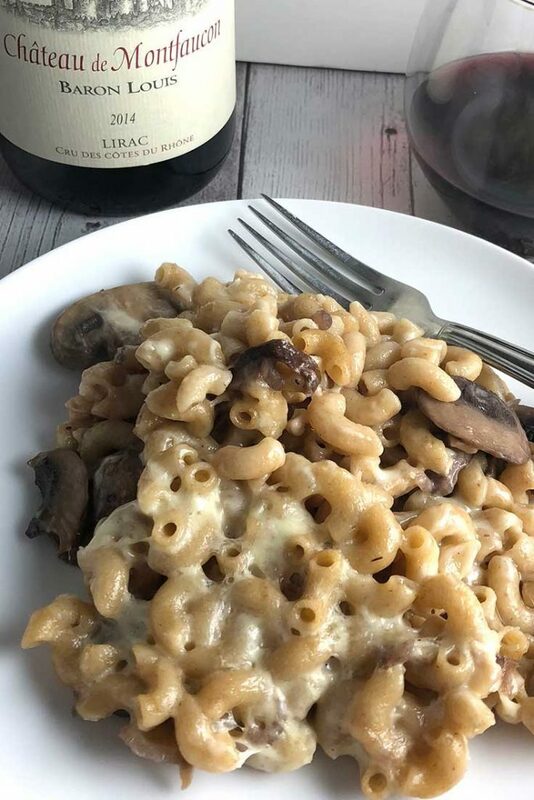 This Mushroom Mac and Cheese Casserole recipe is a hearty vegetarian entrée that is a great way to use leftover cheese. 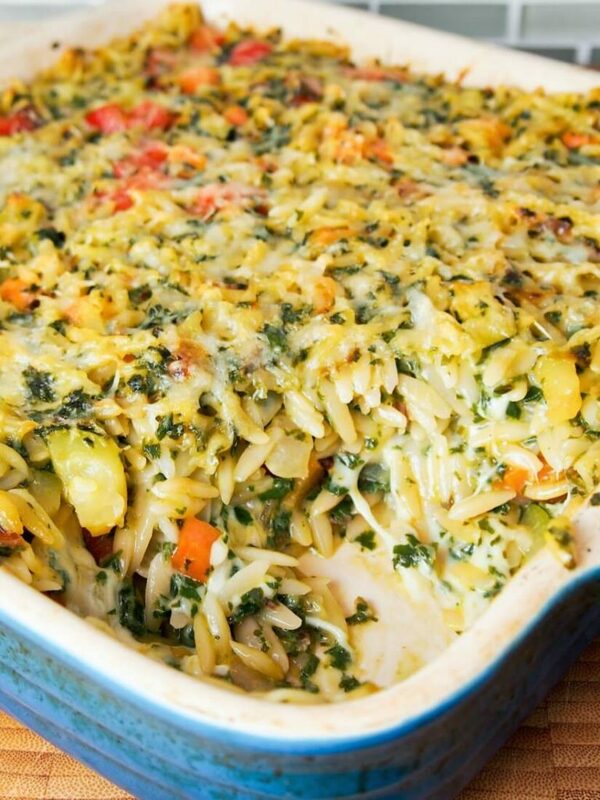 This cheesy orzo pasta bake is comfort food on a plate, with a slightly healthy twist. With lots of cheese and veggies, it’s a great vegetarian meal. How to cook spaghetti squash fast! 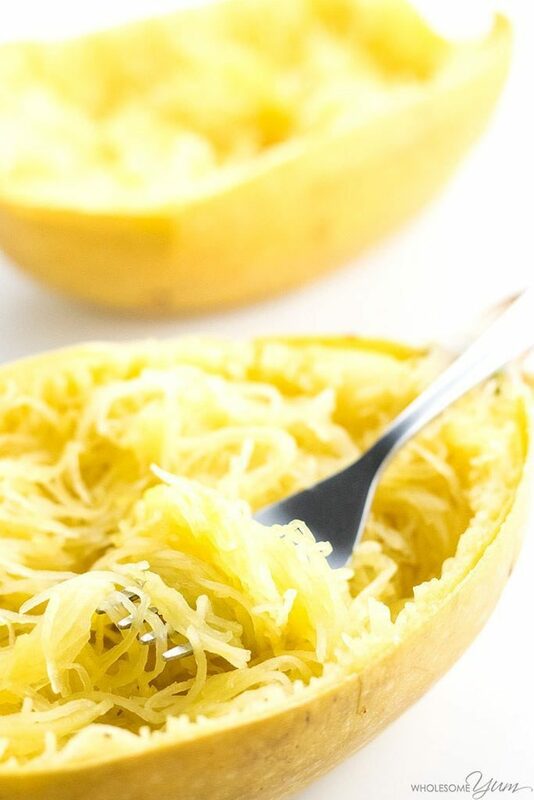 Use this FASTER way to bake spaghetti squash in the oven – whole or cut in half – for any spaghetti squash recipe. 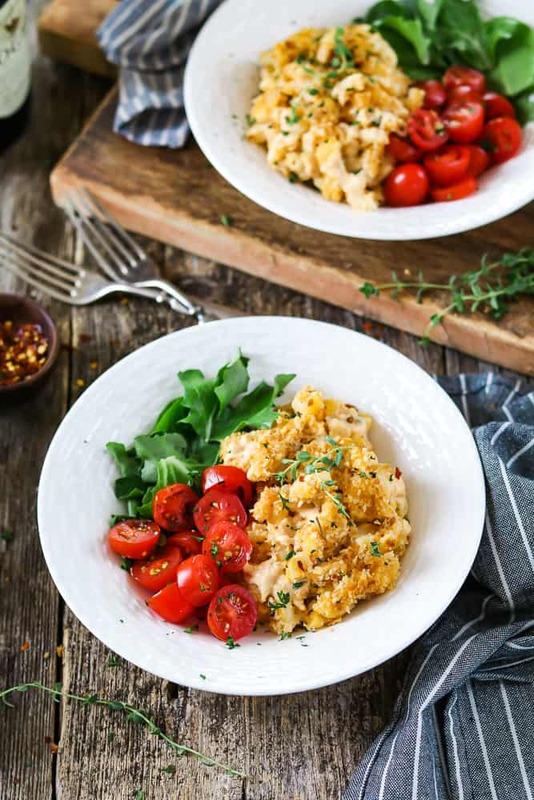 Light pasta recipe that’s filled with creamy cauliflower sauce and seasoned-crunchy topping. This tasty chard pesto and mozzarella orzo bake has all the comfort factor you would want in colder weather with that bit of spring freshness. It has plenty of gooey cheese, but lots of healthy veg as well. Perfect for any occasion. Take the guessing away from weeknight’s dinner with this warm and extremely delicious pasta bake. It’s filled with green goodness with a surprise kick of spice. 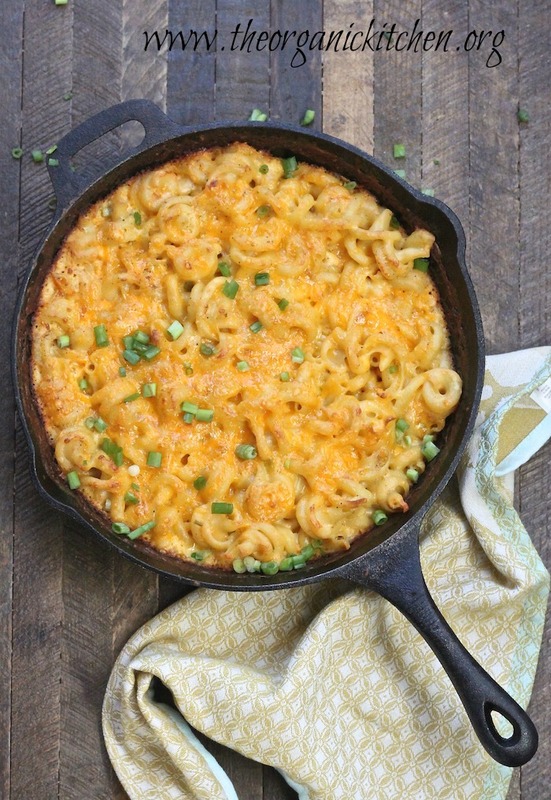 Baked Vegan Mac and Cheese – the epitome of comfort food! Loaded with rich, cheesy and buttery goodness that’ll have you coming back for seconds. It’s perfect for weeknight meals or holiday entertaining. 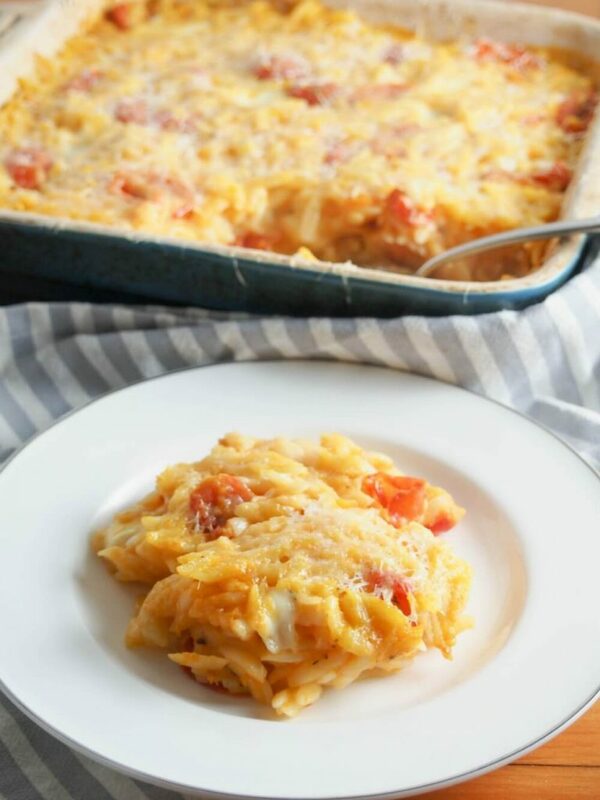 Easy Baked Mac and Cheese with veggies in tomato sauce. 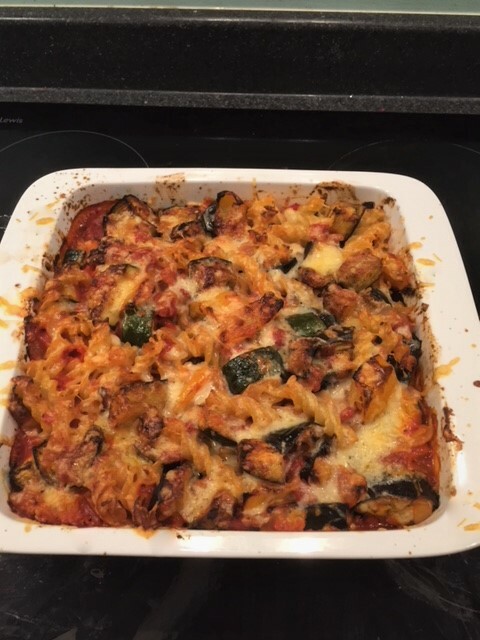 A vegetarian pasta bake, packed with veg- aubergine, pepper and courgette. 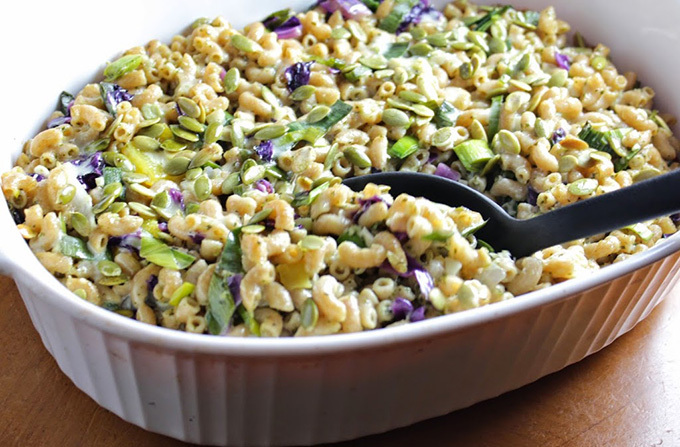 Great for weeknight dinners and feeding a crowd. 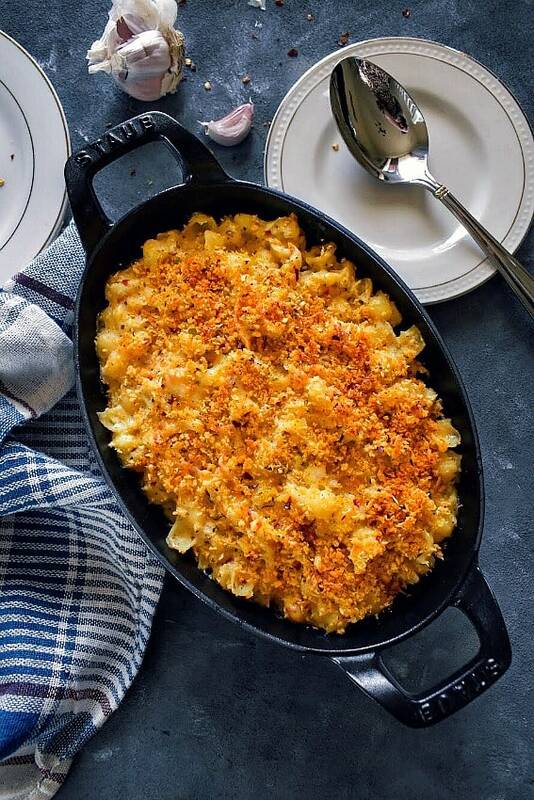 This Mac and Cheese is made with whole milk and sharp cheddar cheese, then baked in the oven to crispy perfection. 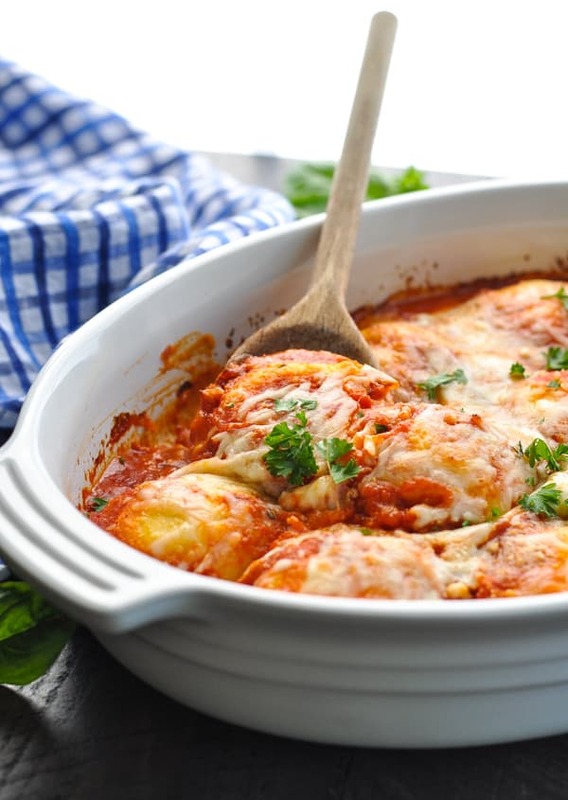 This easy Dump-and-Bake Ravioli Casserole is a quick dinner with just 4 ingredients and 5 minutes of prep! 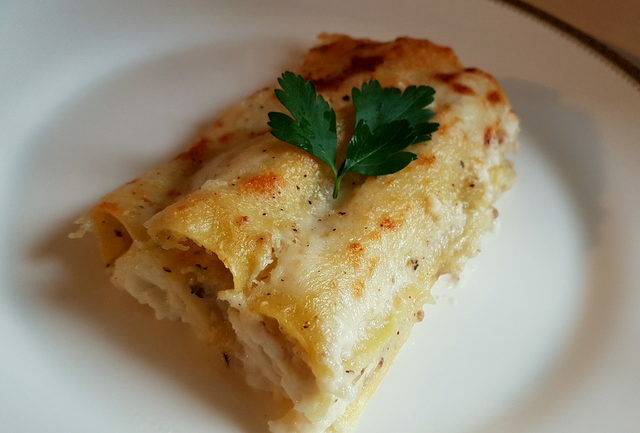 The two most traditional and popular ways to serve cannelloni (manicotti) in Italy are either filled with a meat ragu and baked in a tomato sauce or filled with spinach and ricotta and baked in a tomato sauce or béchamel, or a mixture of both. This recipe is quite different. The filling is made from potato puree and porcini mushrooms and the sauce is a cheesy béchamel. A delicious slightly sweet, creamy and crunchy autumnal pasta bake. 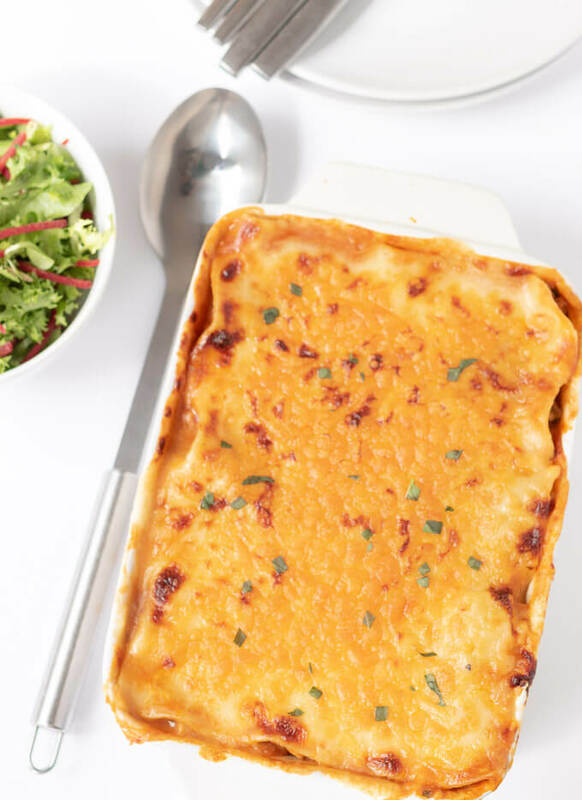 Easy homemade Quorn lasagne is delicious. This vegetarian Quorn mince recipe serves up to six people. Making it a great meat free meal for entertaining. 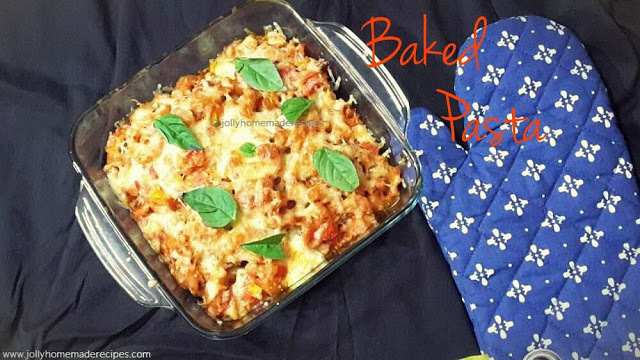 So these are some delicious, easy and simple veg baked pasta recipes. Hope you like and try these recipes.